Traveling is about feeling inspired, exploring new things and collecting unforgettable memories. And all of that begins with doing a little research into your destination! Are you ready to discover a couple of facts about Opfikon? Opfikon is a neighborhood in the much-loved city of Canton of Zurich. You'll find it 4 miles (6 kilometers) to the west of the center of town. Ready to meet the locals? 340,000 people reside in Canton of Zurich. Booking a hotel and airfare package via Travelocity is a brilliant way to save money on your Opfikon getaway. On top of that, you can select from no less than 400 airline partners and 665,000 places to stay. From accommodations and airfares to rental cars and activities, you've got the added security of 24/7 personal assistance via our Customer 1st Guarantee. If you somehow discover a better deal on a different website, we will refund the difference^. With no hidden fees or charges from us, there's no need to worry about unforeseen problems arising. And so long as you get in quick, most accommodations won't charge you either^. Wander wisely in Opfikon by staying somewhere close by. This charming neighborhood features 11 properties to choose from within walking distance. 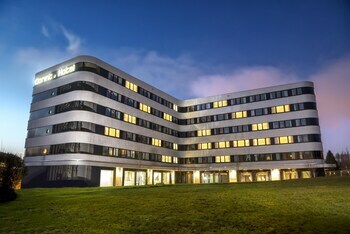 The Hilton Zurich Airport (Hohenbuehlstrasse 10) and the Novotel Zurich Airport Messe (Lindbergh - Platz 1) have some great rooms with so many lush additions. 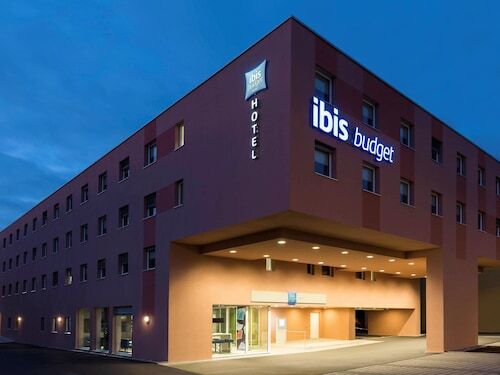 If that's not your thing, consider the ibis Zurich Messe-Airport (Heidi Abel Weg 5) or the Stay at Zurich Airport (Walter Mittelholzerstraße 6). You'll be able to put away some cash and still have an amazing vacation. Where do you fly into for Opfikon? If you're vacationing in Opfikon, the nearest major terminal is Zurich Airport (ZRH). It's around 2 miles (3 kilometers) north from the main streets. Pick an in-flight movie, get comfortable and you'll arrive in no time. Can I rent a car in Opfikon? Whether you're visiting Opfikon by yourself or with a group of pals, it's always handy to have a car. Travelocity offers plenty of rental car options, so choose one now and start putting together your road trip playlist right away! Picking up a vehicle right at Zurich Airport will mean you don't have the stress of transfers and cabs. Sixt and Budget are worth taking a look at. You might like to rent a ride from Avis at Hofwisenstrasse 36. They are conveniently located right in the heart of the city. You can also try Europcar at Autohilfe Zuerich Ag. Shopping Center Glatt is the perfect place to go if you're a bit peckish. Just follow the mouthwatering smells to the food court and you'll be gobbling down a meal in no time! Want some more close by options? Meet like-minded people and be prepared to get inspired at one of the conferences or other events hosted at Zurich Exhibition Centre. But that's not all. Escape the noise of town for a morning, grab a takeaway coffee and find a cool, grassy spot at MFO-Park. If you want a bit of exercise, pack a football too! Take the opportunity to explore some nearby destinations such as Schwamendingen and Unterstrass. Schwamendingen is about 2 miles (3 kilometers) from Opfikon, while Unterstrass is 3 miles (5 kilometers) away. This family-friendly Opfikon hotel is located near the airport, within 3 mi (5 km) of Hallenstadion, University of Zurich and Shopping Center Glatt. ETH Zurich and Kunsthaus Zurich are also within 6 mi (10 km). Lindberghplatz Tram Stop is only a 2-minute walk and Glattpark Tram Stop is 8 minutes. Located in Glattbrugg, this hotel is 1 mi (1.7 km) from Circus Salto Natale and 2.5 mi (4 km) from Hallenstadion. Zurich Exhibition Centre and Halle 622 are also within 3 mi (5 km). Kloten Balsberg S-Bahn is 13 minutes by foot and Kloten Balsberg Tram Stop is 16 minutes. 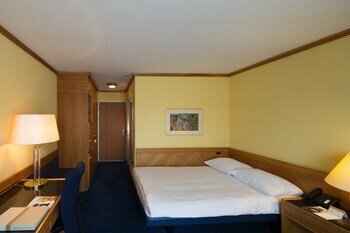 Located in Glattbrugg, this hotel is 1 mi (1.5 km) from Circus Salto Natale and 2.5 mi (4 km) from Hallenstadion. Zurich Exhibition Centre and Halle 622 are also within 3 mi (5 km). Kloten Balsberg S-Bahn is 10 minutes by foot and Kloten Balsberg Tram Stop is 13 minutes. 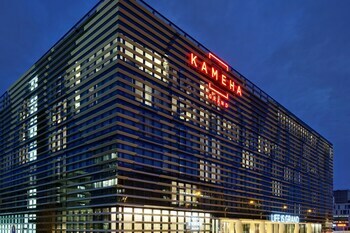 Located in Glattbrugg, this luxury hotel is within 1 mi (2 km) of Zurich Exhibition Centre and Hallenstadion. University of Zurich is 2.2 mi (3.5 km) away. Glattpark Tram Stop is 6 minutes by foot and Fernsehstudio Tram Stop is 7 minutes. 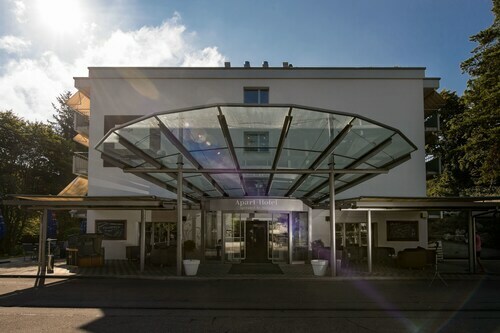 Located in Glattbrugg, this hotel is 1.3 mi (2.1 km) from Circus Salto Natale and 2.5 mi (4.1 km) from Hallenstadion. Zurich Exhibition Centre and Halle 622 are also within 3 mi (5 km). Kloten Balsberg S-Bahn is only a 2-minute walk and Unterriet Tram Stop is 9 minutes.